Ever since it was announced that Joaquin Phoenix would play Gotham’s most infamous criminal, comic-book and cinema fans alike have been desperate to see Phoenix’s version of The Joker. Even in late 2018, director Todd Phillips sent Twitter and Instagram into meltdown by releasing the first teaser clip of Arthur Fleck, smiling and silently transforming into the grinning criminal mastermind. Since then, social media has been swamped with ‘leaked’ footage of The Joker, in subway stations and the streets of ‘Gotham’ alike, but today it looks like our prayers have been answered, as Warner Bros have just released the first trailer and it’s safe to say it does not disappoint. 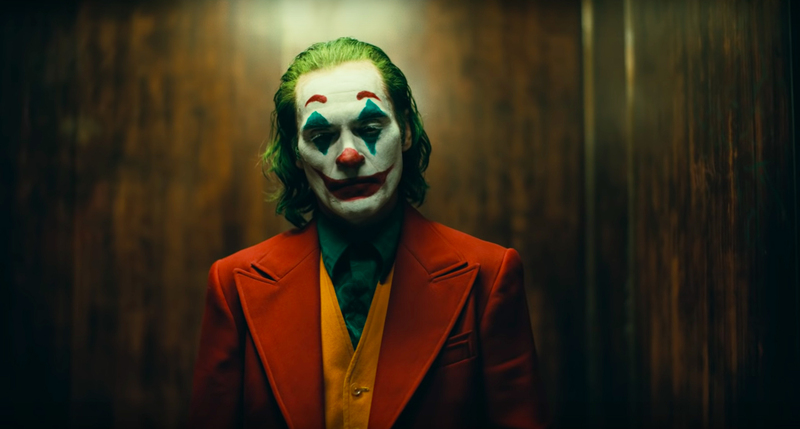 In the trailer below, we are treated to see what 1980s Gotham looks like in director Todd Phillips’ world, as well as witnessing a slightly creepy relationship that The Joker has with his mother and we hear the first sounds of Phoenix’s take on his iconic laugh… and of course, the chaos that naturally comes with the The Joker. Anyone else just totally lose it or just me? DC have certainly pulled out all the stops for setting up a potentially very exciting origin story for The Joker. Set in 1980’s Gotham, the film will follow failed stand-up comic Arthur Fleck (Phoenix) as he descends into a world of crime and chaos. The news that The Joker had been given an actual name in the film didn’t necessarily go down well with fans of the comic-books, with plenty arguing that one of the most alluring things about the character is the fact that we don’t know his real identity and know very little about his past. As well as Phoenix, the film also stars Robert DeNiro as talk-show host Murray Franklin and Zazie Beetz as Sophie Dumond, Fleck’s love interest in the film. What trip to Gotham would be complete without the addition of The Wayne family though, I hear you ask? Well, Joker, also features Brett Cullen as Thomas Wayne, the billionaire father of Bruce, and the future Dark Knight will also appear in the film and will be played by Dante Pereira-Olson. In my opinion, this all adds up to something very exciting and I’m sure I’m not the only one who can’t wait for the film’s release. Joker is set for release on October 4th by Warner Bros.